It’s almost as if the comic industry has hit a mile stone in history. The DC reboot in September will reboot every single ongoing series in the DC Universe not even Action Comics will continue. 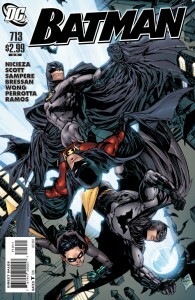 Tomorrow will mark the last issue of the current Batman series with issue #713. 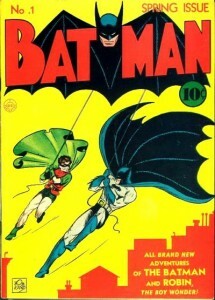 Just to put the previous 713 issues into perspective issue #1 was released in 1941. There have been countless artists, writers and even some comic characters we won’t see again after September. The final issue is going to be an epic issue with the historic Bat-Family including Robin, Catwoman, Batgirl, Nightwing, The Riddler, Jim Gordon and Superman.